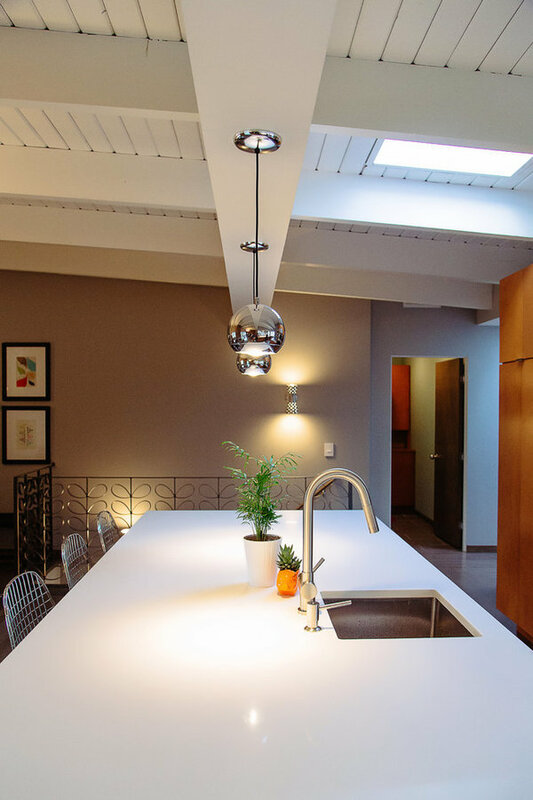 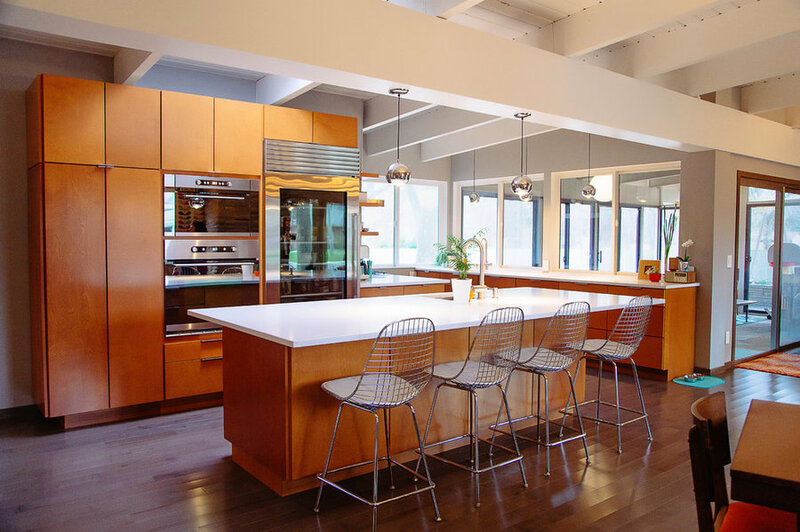 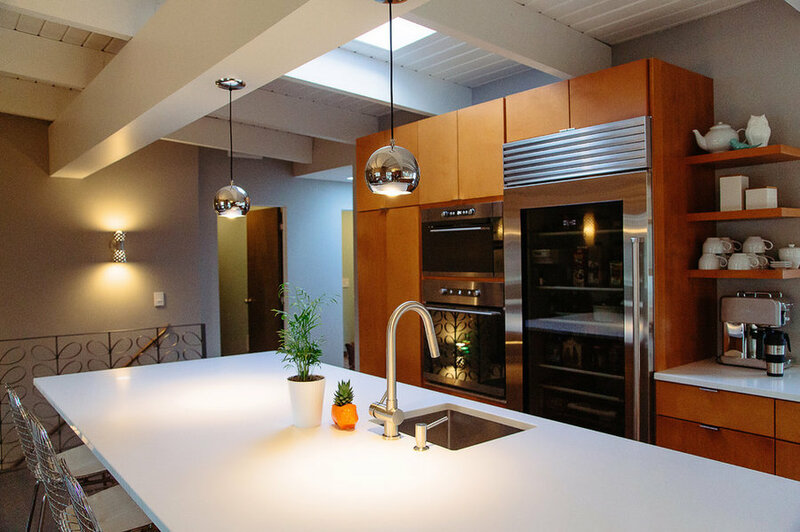 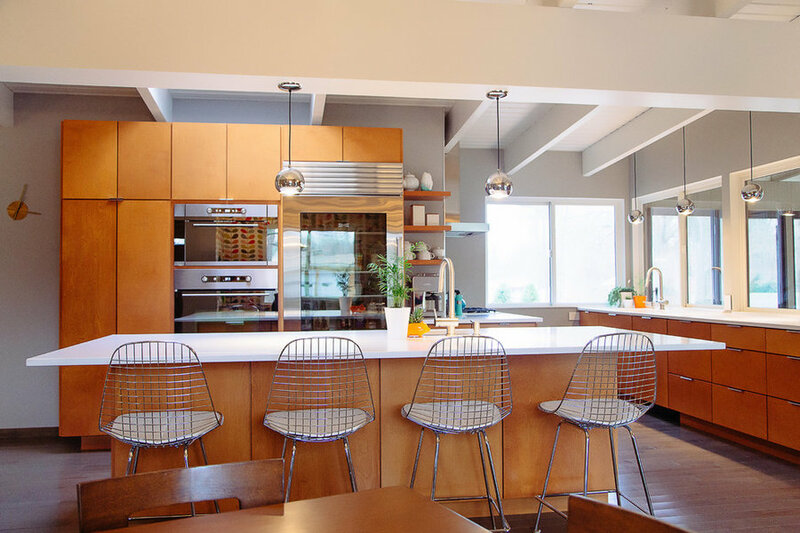 The kitchen is the heart of this midcentury modern home. 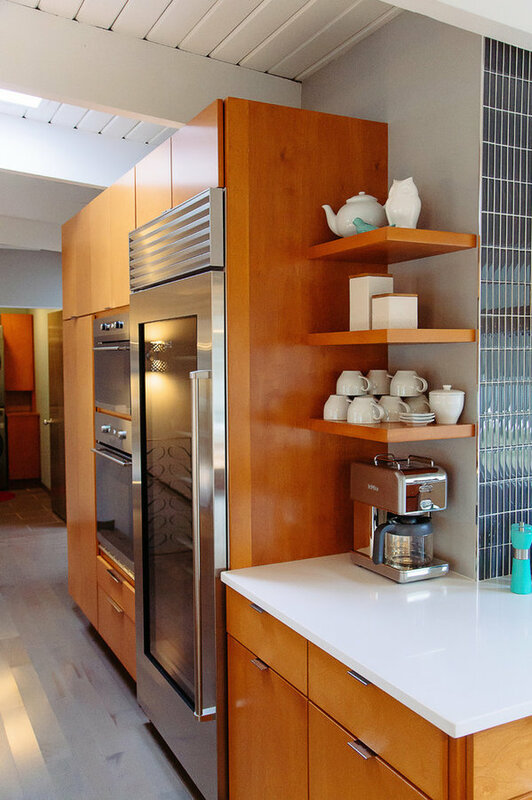 Formerly a galley kitchen and odd office area, the office was removed to make way for an island and bank of cabinets which houses the fridge, wall oven and pantry. 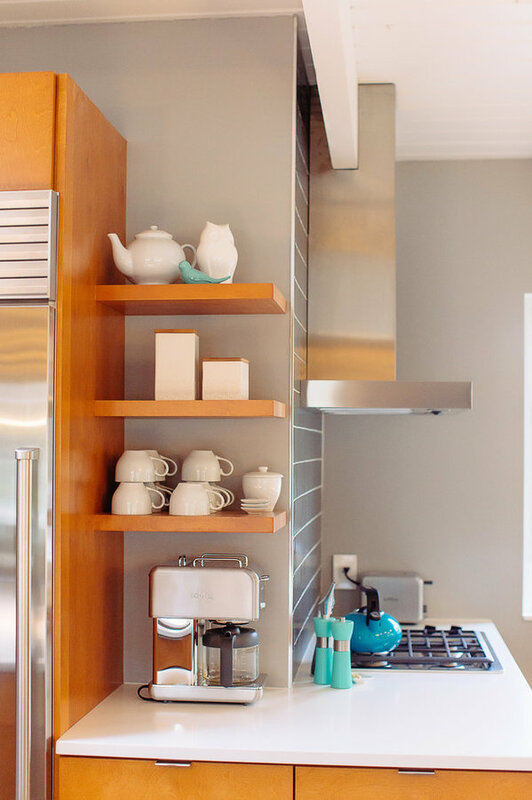 The cabinets are custom. 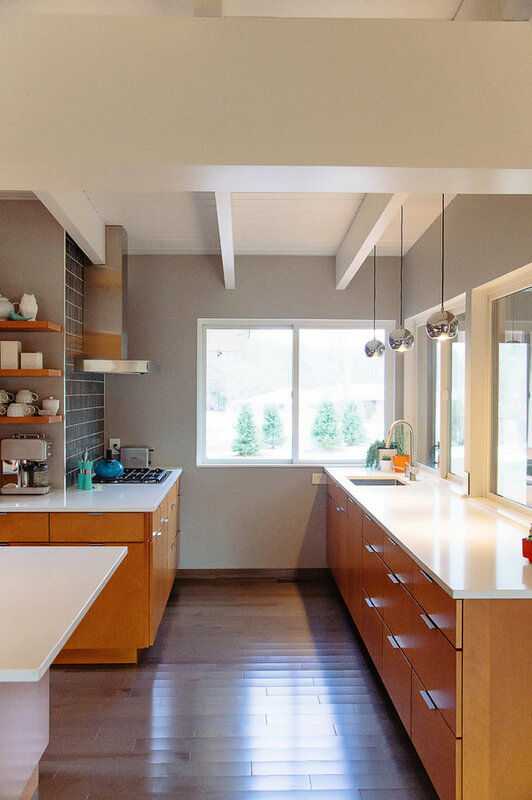 The countertops are quartz.